What Was The First Book Sold On Amazon.com? Stephen King's "The Shining" Was Inspired By Which Of These Real Life Hotels? Amazon.com, now the largest online retailer in the world, was once a fledgling company indistinguishable among a veritable ocean of internet start-ups. It was there, back in 1995, Amazon sold its very first book. Was it the Bible? The collected works of William Shakespeare? 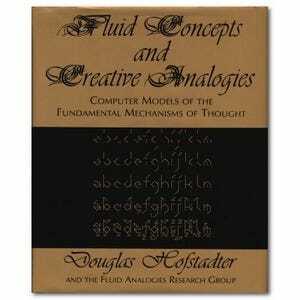 No, the first book sold by Amazon.com was an esoteric volume of essays on artificial intelligence and the future of computing edited by Douglas Hofstadter called Fluid Concepts and Creative Analogies: Computer Models of the Fundamental Mechanisms of Thought–the volume combined essays by Hofstadter and other members of the Fluid Analogies Research group focused on the concepts of fluidity, analogy, and their relationship to using human-like intelligence to solve complex computer-based problems. Since then, Amazon.com has grown astronomically and if Fluid Concepts and Creative Analogies is a bit dense and esoteric for your taste there are tens of millions of other titles to peruse.